The Pokémon anime began in 1996 as a fairly witty and enjoyable kids show that was faithful to the original games and had some decent voice acting. As time went on, things went steadily downhill, culminating with the miserable piece of Trubbish that we have today. The missing film in this list is Pokémon 4Eever, which I have not seen and cannot be bothered to watch. The First Movie was so arrogant that it knew the franchise would flourish with tons of sequels, but surely they'd still inject a massive effort into this first motion picture? The effort is there, but it still didn't end up being as good as it should've been. It already annoys me from the get go as we see Ash's Pikachu take out a Venomoth, Golem, and Pinsir with one single Thundershock attack - did the creators every watch the show or play the games? Pikachu is not strong enough to carry out such an attack for a start, but Golem, as a Rock type, would be totally unaffected. At least Billy Crawford's cover of the main theme is awesome. The central problem with this film is it's extremely confused message - that fighting is bad. No, I'm not saying you can go and beat people up and that would be fine, but Pokémon, you see, are meant to fight. 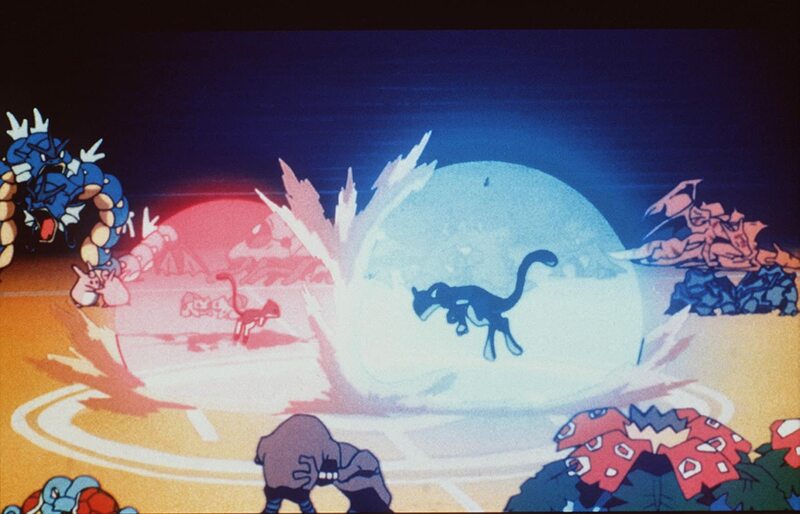 They engage in one to one battles to determine a single victor, using an array of special attacks and abilities. The filmmakers try and cheat their way through this message by saying Pokémon aren't meant to fight like this as they beat each other senseless, but to be honest it's hardly different from the actual methods. Mewtwo has it's badass moments, particularly thanks to a cool voice by Phillip Bartlett (or Jay Goede, whatever his name is), but the film is generally dull effort that'll be hard to appeal to anyone other than really young fans - who will grow up and see sense one day. 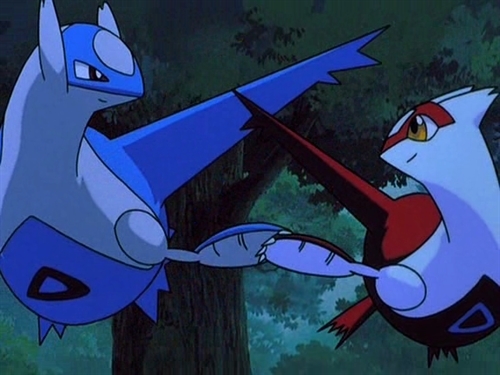 Pokémon 2000 had me hyped as all hell when I was a kid due to the fact that it was not only Lugia, but also the legendary Kanto birds, that were making their debut on the big screen. To see them fight in epic battle scenes was a promising concept and it was something my younger self wanted to see just for that reason. The story features villainous Pokémon collector Lawrence III, who seeks to capture the legendary birds Articuno, Moltres, and Zapdos, by enraging and trapping them. In doing so, he also attempts to awaken and detain the legendary Lugia, who is foretold to calm the legendary birds when they erupt into conflict. Ash and his friends stumble into the situation upon visiting the Shamouti island, where it is discovered Ash is the chosen one (ugh god), who must return a series of orbs to their rightful islands to stop the ensuing chaos once and for all. It's not a horrible film by any means, but like it's predecessor, it suffers from jerky animation that feels no different to the low budget and simple style the TV show adopts - this is a $30 million movie, and you'd expect something dramatically better. What's also a massive annoyance as you may guess is the rehashing of the age old and extremely corny chosen one idea, which Ash takes far too seriously; and initially, we have no clear reason as to why he's this foretold hero, as at first people treat it like a joke, but it slowly morphs into an actual concept with no acknowledgement of these contradicting factors. To it's credit, Lawrence III is a pretty cool villain, the legendary birds are always awesome, and I'm particularly fond of Eric Rath's voice for Lugia, but otherwise, Pokémon 2000 is relatively mediocre. Pokémon 3 is probably the only film in the entire franchise that can be considered good, thanks to a better story than previous entries. It focuses on young girl named Molly, who struggles to cope with barely being able to see her father throughout her childhood. Her troubles worsen when her father mysteriously vanishes on an archeological expedition, having awakened a group of mysterious Pokémon dubbed the Unown, who seek out Molly and encase her home in a giant crystal palace. They fulfil her wish to bring her father back by restoring his essence in the form of Entei, a legendary beast whom Molly and her real father consistently read about in storybooks. The involvement of Ash comes to fruition when his mother is brainwashed and taken into the palace to act as Molly's own, leading him and his friends on a quest to infiltrate the stronghold and bring down the evil powers within. This film still retains some of the iffy writing and voice acting that the previous films suffered from, but it's still much more enjoyable. Entei has a brilliant voice by Dan Green, and his bond with Molly is relatively touching. While she may come off as a spoilt brat, the film does it's best to help you understand why by showing her lonely lifestyle and troubled past. The animation is much more impressive than before, despite being somewhat stiff at times, and the soundtrack is surprisingly brilliant. It's utterly predictable, but not without charm. 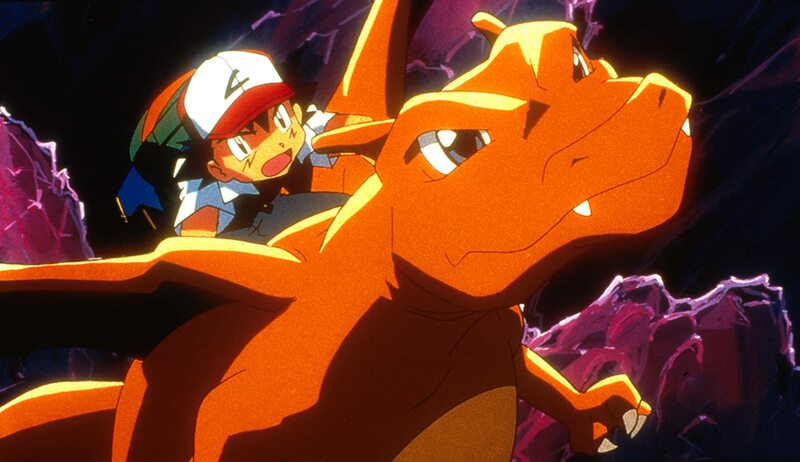 Pokémon 3 was the final film in the series to be shown in UK cinemas, with future releases going straight to video. This also applied to several other territories where the film was unsuccessful, including Finland and Spain. Pokémon Heroes takes place after the Master Quest TV series, as demonstrated with a lazy rehasing of the opening theme instead of a newly composed one specifically for the movie. Whatever. This film is the bridge between the Johto and Hoenn stages of the franchises as Gen III had just emerged in Western countries. 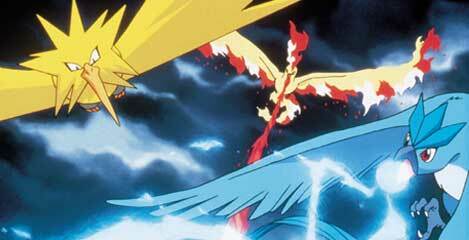 As a result, the only Gen III characters are Latios and Latias, the legendary roaming Pokémon who debuted in Ruby and Sapphire Versions. The film is set in a town called Altamar, based on Venice, which is home to an all powerful defense system that once protected it from a near apocalypse. As Ash and his friends tour the town, they are caught up in Team Rocket agent Annie and Oakley's attempts to steal the aforementioned defense system, and the unveiling of the legendary Latios and Latias who seek to protect it. Heroes has it's moments of genuine charm, particularly thanks to Latios and Latias - who are easily the stars of the show. They share a touching bond, demonstrated nicely by Latios protecting his sister with his life, and their playful nature within their secret garden home. But with that said, the film doesn't have much else to offer; featuring a slightly bizarre plot that doesn't make complete sense, and some iffy vocal work. One thing's for sure, the soundtrack is pretty cool. Bland is the best word to sum this up - it's not bad, but just not memorable aside from the characters of Latios and Latias. With an abysmal $746,000 in domestic earnings, Pokémon Heroes, much like Pokémon 3, marked the series' departure from cinemas; this time in the US. From here on, all future releases went straight to home video. No surprise.